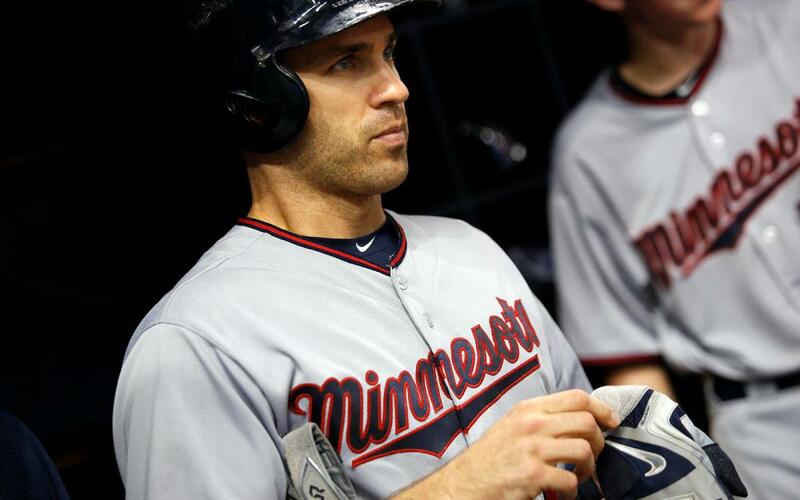 Joe Mauer(1B-MIN): Joe Mauer went 3-for-5 with a homer, a double, and five RBIs vs. the Blue Jays. The 34-year-old has quietly had a productive fantasy season with a .306/.385/.424 line and 65 RBIs with 63 runs. While his 2.22 GB/FB rate limits his power ceiling, Mauer's 35.5 percent hard hit rate is his highest mark since 2013, so the AVG looks legit. In today's climate where a .270 AVG is a bonus in fantasy, a now healthy Mauer has regained value as a CI option in standard leagues. Danny Duffy(SP-KC): Danny Duffy (knee) lost after allowing two runs (one earned) on one hit (one homer) and no walks with eight strikeouts over five innings against the Indians. Duffy looked great in his first start since Aug. 22 and should be started in all leagues down the stretch. Even though it has been a down year for the left-hander, batters are making hard contact 30 percent of the time (compared to 36 percent last year) and Duffy is maintaining an 11.6 percent swinging strike rate. With an offseason to heal, I think he could be had at a bargain price in the spring. Trey Mancini (1B/OF-BAL): Trey Mancini went 2-for-4 with a double and one RBI against the Yankees to move his season line to .293./.338/.503 with 24 homers and 77 RBIs. Mancini is demonstrating a better understanding of the strike zone with a 34 percent chase rate and is making contact more consistently (73 percent) than he did during his first look with the Orioles. His HR/FB rate looks slightly overstated, but given his batted ball profile, I don't see his AVG regressing. With .290/25/80 as a likely projection heading into 2018, Mancini holds value in all formats at the CI position. Jake Odorizzi(SP-TB): Jake Odorizzi won after allowing two runs on one hit (one homer) and two walks with six strikeouts over six innings vs. the Red Sox. The right-hander hasn't taken the step forward that many had hoped he would take, but injuries have also slowed him down. He is carrying a career-high 10.6 percent swinging strike rate, so there is upside here. But, he must improve his efficiency, as his 55 percent first-pitch strike rate and 3.92 BB/9 have led to an average of just over five innings per start this season. I'm not giving up on him, but until he shows improvement, I'm treating him as more of a number five option in standard leagues. Chris Davis(1B-BAL): Doug Fister has allowed a .360 wOBA and a 38 percent hard hit rate to LHH. Chris Davis has hit 20 of his 24 homers against right-handers including 14 of 24 at home. Davis has struggled against fastballs this season to the tune of a -1.7 pitch value, but Doug Fister has averaged 89.7 MPH on the pitch and has thrown it 59 percent of the time. The ingredients are here for a big day for Crush, and at $3200 on FanDuel, his price is right.